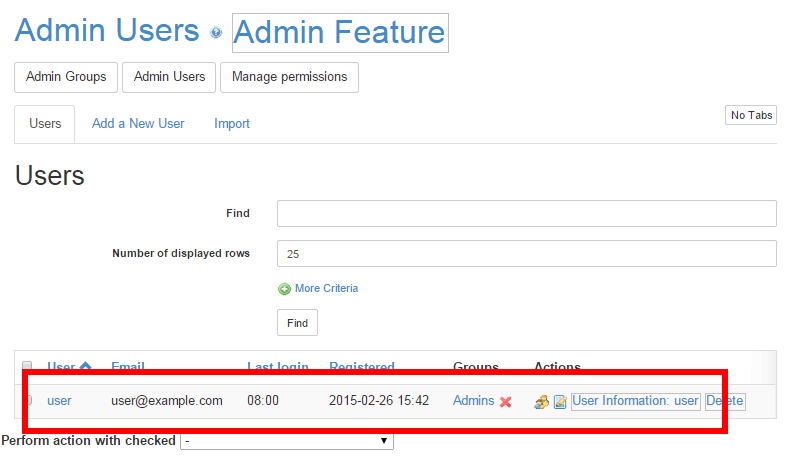 From the administration panel, select the “Admin” menu item in the left navigation bar. In the resulting sub-menu, select the “Users” item. From the user list, select the “user” user account. 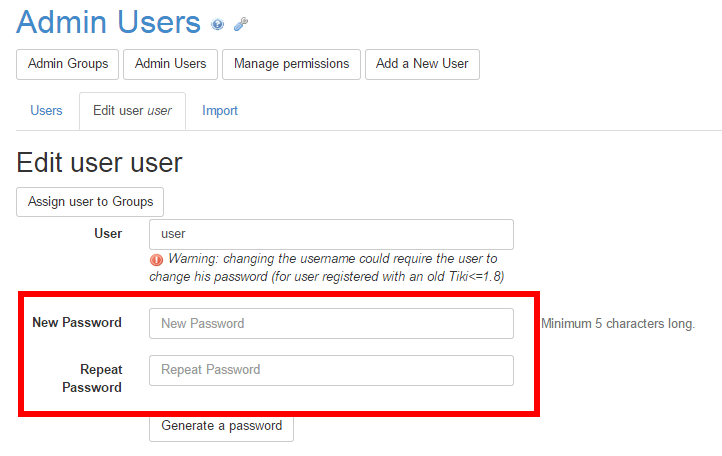 On the resulting page, enter a new password for the account twice.